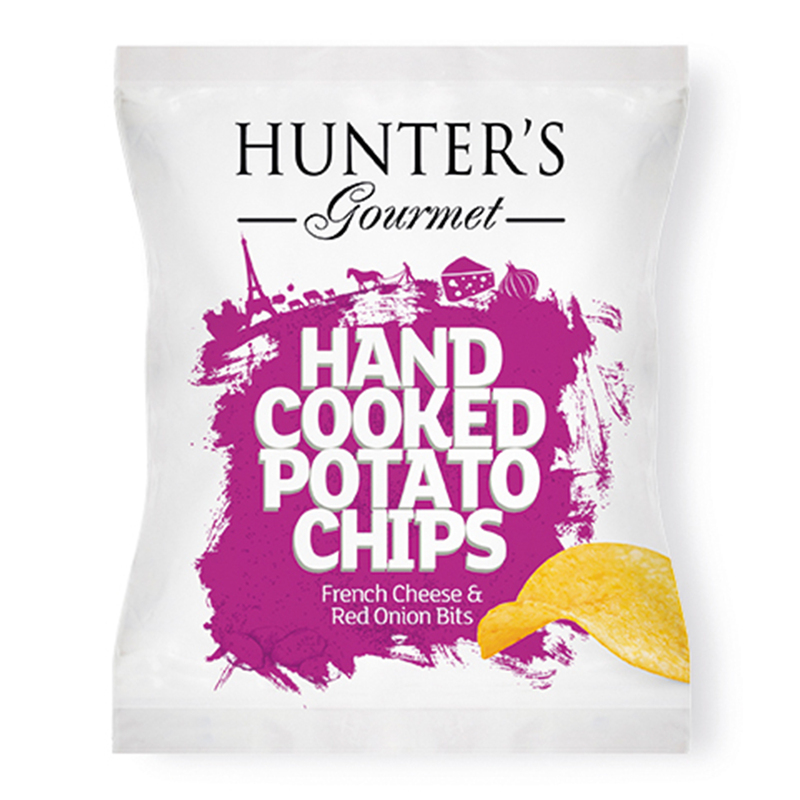 Hunter Foods has just taken Hunter’s Gourmet to the next luxurious level, Gold Edition, with the launch of a premium gourmet flavour: Cherry Tomato and Olive. The thicker, golden potato chips are hand cooked into perfection, with the ever-beloved signature Mediterrean flavour, cherry tomato and olive, engulfing each bite of that savoury crunchiness. These chips would be some of the most decadently delectable chips that you would have ever had! All it is left would be for you to burst out with “Wow, that was amazing!”. 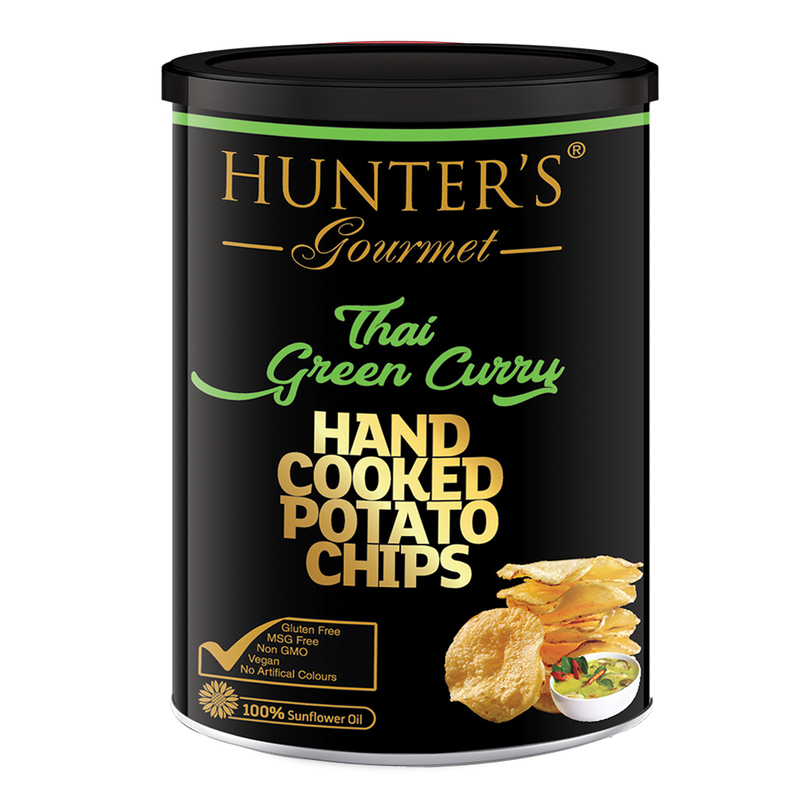 The Gold Edition is also available in premium gourmet flavours such as Black Truffle, Thai Green Curry and Wasabi and Turmeric. 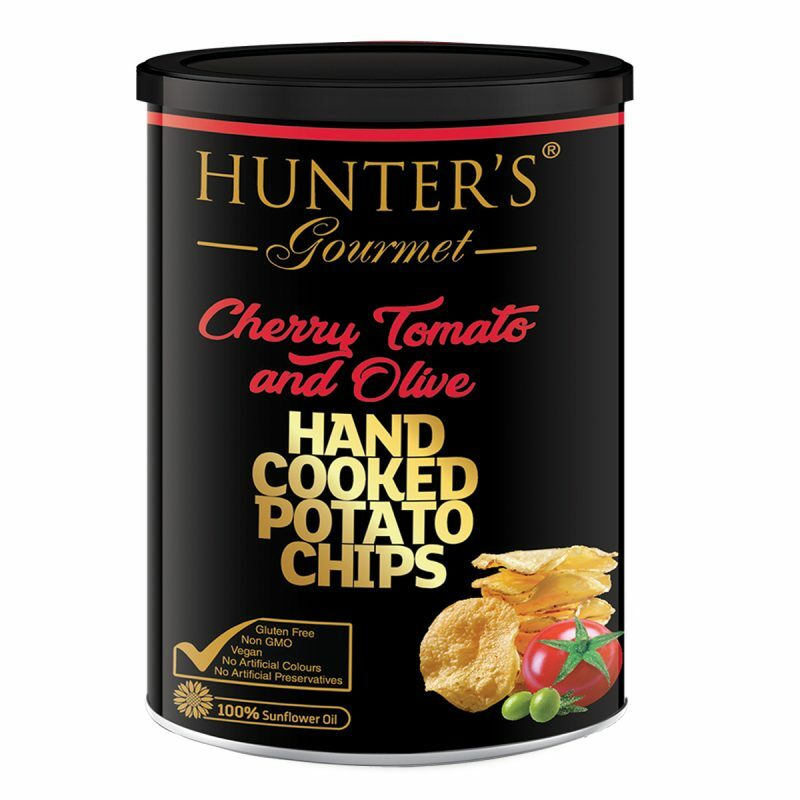 Hunter’s Gourmet Hand Cooked Potato Chips – Cherry Tomato and Olive – Gold Edition (150gm) 150gm Canister. Potato Chips, Vegan, Gluten free, Non GMO, No Preservatives, No Artificial Colours, No Trans Fat, No Cholesterol, Halal, Dairy Free, Lactose Free. Potatoes, sunflower oil, cherry tomato & olive flavour [flavouring (tomato & olive), salt, maltodextrin (potato), sugar, flavour enhancer (E621), anticaking agent (E551), acidity regulator (E330), tomato & olive flavouring, colour (E160c)]. Contains added flavour [nature identical flavouring substance (tomato & olive)]. Manufactured in a facility that stores and/or packs peanuts, tree nuts and products of gluten, dairy, soya, mustard and celery.